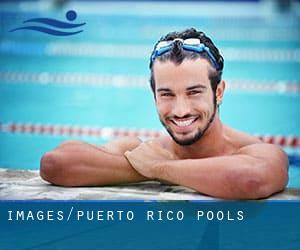 Most of the Puerto Rico Pools provide both open lanes for independent swimming and also guided activities like water aerobics or Aquabike. Going to a Puerto Rico Swimming Pool is growing specifically within the elderly population sectors of Puerto Rico, who've suffered some type of muscle or bone damage. Before trying any pool, make sure you know the rules and regulations for Puerto Rico Pools as they may not be the identical as inside your residence town. We advise you make contact with the pool directly to ask for those who will need a hat, and what form of footwear or specific clothing you will need. Are you on holiday and want to preserve fit and wholesome? Swimia.com gives you the very easy and quickest method to find Aquagym in Puerto Rico near your current location. Please have a look at the pools swimmers like you've got reported near Puerto Rico. Please, report any Puerto Rico Swimming Pool not listed here. Do you know of any Pools in Spain that need to be listed here? Contact us!. One from the benefits of outdoor swimming in Puerto Rico will be the possibility to sunbathe during the summer time season. Taking it with extra care, sunbathing is healthful because introduces Vitamin D into the body, so the most beneficial option seems to be switching among indoor and outdoor pools based on the season. Enjoy the best indoor pools in Puerto Rico and don't worry about the weather. These facilities are open all seasons and you can enjoy a swim at the same temperature every day of the year. There are several reasons why you need to choose a heated swimming pool in Puerto Rico. Essentially the most important one relies on the importance of keeping the body temperature stable. If the water is too cold, your body will try to warm it up and you will lose strength to swim correctly. Holding an estimated population of 170.404, Carolina is among the most important cities in Puerto Rico. Check all the Pool in Carolina and its surrounding region. Whereas Caguas is one of the six most populous cities in Puerto Rico with nearly 86.804 residents, you shouldn't miss that one if you're going to Puerto Rico. It's hard to visit Puerto Rico without dropping by San Juan (with 418.140 residents). Currently Swimia is showing you all of the Pool in San Juan and the closest pools located in its vicinity. Let us let you know a secret to switch off whilst you are in Guaynabo: just choose a Pool in Guaynabo and plunge into the water! There's no additional successful method. Without a shadow of a doubt, swimming in Ponce may be the most beneficial option to unwind right after function. 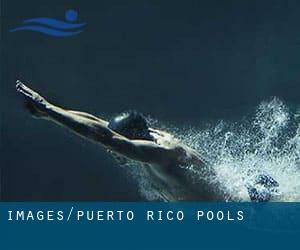 Take a couple of minutes to browse Swimia's catalog to find a Pool in Ponce. Swimming is a outstanding concept to keep your body active during your visit to Bayamón (Puerto Rico), or even if you are a local. Swimia assists you to find your closest Pool in Bayamón. Updated on 2019 San Juan Central Park , San Juan . This great and large sports center lets professional swimmers like you enjoy Olympic size, 10 lanes, convertible to 25 meters, 20 lanes, Indoor/Outdoor. Additionally, within these facilities you can try 25 meters, Indoor/Outdoor. Unfortunately we do not have the email address of this Swimming Pool, but we can give you the phone number. Updated on 2019 Ponce Sports Center , Ponce . Among all the activities supplied by the center, when you are interested in swimming you may enjoy Olympic size, 8 lanes, Outdoors. Updated on 2019 1 San Gerónimo Street , San Juan (Postal Code: 00901). Swimmers like you reported 25 meters+, ~4 lanes wide, Outdoors. Unfortunately we do not have the email address of this Swimming Pool, but we can give you the phone number. Carretera Caguas hacia Aguas Buenas , Caguas (Postal Code: 00726). Few days ago a common user of this center told us they offer Olympic size, Outdoors. Furthermore, they keep in good conditions 25 meters, Outdoors. For this Pool, only phone number is number here. Updated on 2019 Avenida de Ponce de León , Santurce (Postal Code: 00914). This sports center gives Olympic size, Outdoors. Highway 693 , Dorado (Postal Code: 00646). This sports center gives 25 meters, 6 lanes, Outdoors. For this Pool, only phone number is number here. Highway 693 , Dorado (Postal Code: 00646). Swimmers like you reported 25 meters, 5 lanes, Outdoors. Unfortunately we do not have the email address of this Pool, but we can provide you with the phone number. Updated on 2019 Rt. #333, Km 6.5 , Guanica . This sports center offers ~20 yards x ~20 feet, 3 feet - 6 feet depth, Outdoors. For this Pool, only phone number is number here. Updated on 2019 Road #104, Km. 0.3 , Barrio Algarrobo , Mayaguez (Postal Code: 00680). This sports center provides 25 meters, 5 lanes, Outdoors. For this Pool, only phone number is number here.